"When the world says, 'Give up', Hope whispers, 'Try it one more time"
An undated photo provided by the La Plata County, Colo., sheriff’s office shows Dylan Redwine, who is still missing. His aunt hasn’t given up hope. The three women rescued on Monday had been held captive as long as 10 years. For families of others still missing, the news evokes mixed feelings. “It’s so great that their families have some answers. It’s just hard, for other parents, knowing their children are still gone,” Carolyn Johnson of Louisiana told HuffPost Crime. Johnson wept as she spoke of her son, Clinton Nelson, who vanished on Sept. 1, 2006, when he was 21. Johnson said the rescue of Amanda Berry, Gina DeJesus, and Michelle Knight in Cleveland is what the friends and family of every missing person wants. Still, for some, the news tears open a scab — a reminder that their loved one is still lost. Johnson joins many parents, friends and family members of missing people who have been watching horrifying new details emerge about the rescued girls’ confinement. Starr Lara was 14 when her sister, Jamie Grissim, went missing in 1971. On Monday, one of her co-workers told her about the Cleveland rescue in an attempt to cheer her up. Lara said she hasn’t given up finding her sister — but she expects to find her sister’s remains. Grissim was 16 when she disappeared after school in Vancouver, Wash. Her purse, ID and possessions were found May, 1972 in the woods northeast of Vancouver, near where other homicide victims had been found. 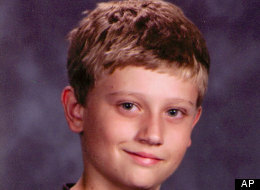 Lia Howard — whose 14-year-old nephew, Dylan Redwine, went missing in Colorado on Nov. 12, 2012 — says the Cleveland case has rejuvenated her family in its quest to find her nephew. NCMEC has seen a growing number of recoveries of long-term missing children. Every story we hear offers hope to the families who are still searching, that their own children will one day come home. On May 7, the NCMEC is celebrating this important message of hope by honoring Jaycee Dugard and her family at the 2013 Hope Awards. They were reunited in 2009 after Jaycee was abducted 18 years before. This story like those of Elizabeth Smart, recovered after 9 months; Shawn Hornbeck, recovered after 4 years; Carlina White, recovered after 23 years; and Steve Carter, recovered after 34 years is the reason why we never forget any missing child. Suspected serial killer up for parole-Let’s give him NO HOPE EVER of getting out.